HITMARK Short Sleeve Shirt - The Premium Cricket Shirt used by India's Test Team. DRI-FIT technology: A fabric that moves sweat from your skin to it's outer surface for quicker evaporation. Helping you stay dry, comfortable and focused on the task at hand. This elite shirt has a cricket specific fit to aid athlete's movements during the game for greater comfort and performance. Raglan sleeves with soft, elasticated, bicep-length cuffs for unhindered shoulder rotation and a great look and feel. Mesh under-arm panelling incorporated to maximum breathability and comfort. 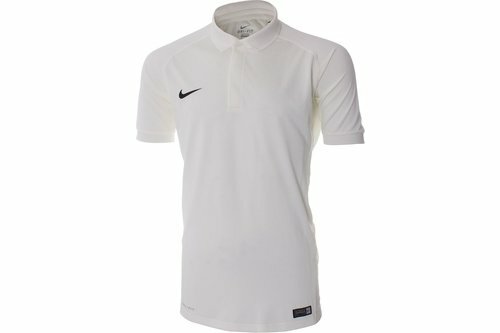 3 button placket and an embroidered Nike logo on the right chest offers stylish detailing. Fitted cut suitable for batting, bowling, fielding and wicket keeping.